Introducing the Platinum 4 Smart Laser. 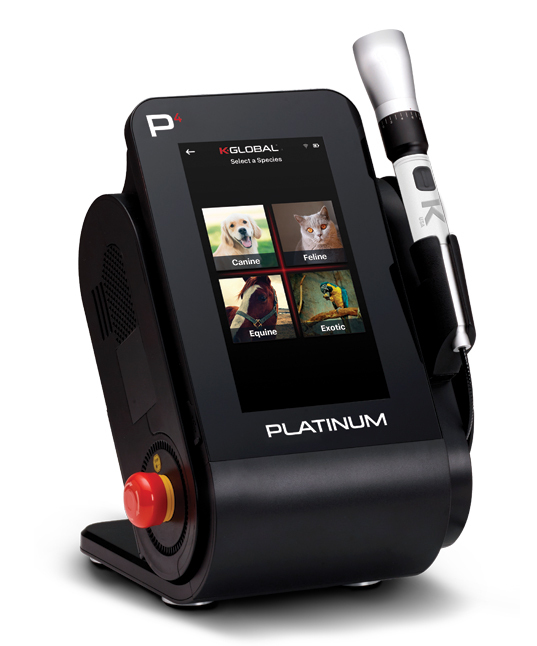 The Platinum 4 Smart Laser by K-Global changes all the expectations of Class IV therapy lasers by delivering expert clinical treatments, an unparalleled user experience and innovative practice success tools. See for yourself how the Platinum 4 stands alone as the world’s first smart laser and how it can help your practice succeed. The Platinum 4 Smart Laser delivers the optimal mix of power, wavelengths, pulsing and expert protocols to ensure the best possible treatment outcomes. 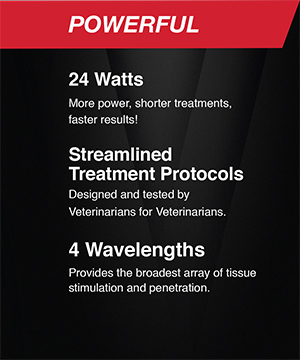 – 24 Watts: More power, shorter treatments, faster results! – Homogeneous Beam Profile: Delivers the most consistent and safest application. The Platinum 4 includes a Performance Tracking App that provides detailed information about how you are using your laser. No other therapy laser can provide you with this level of insight to maximise your return on investment. High internal temperature can destroy laser diodes and electronics, resulting in significantly reduced power output and irreparable damage to the laser. – Liquid Cooled, Copper Design: For faster heat transfer compared to air-cooled aluminum. – Closed System: Heat is managed consistently throughout the life of the laser. Platinum 4 is designed with the highest quality materials and state-of-the-art technology to deliver the best therapeutic laser and user experience.